I am just popping in quickly to share a card I made for this weeks Freshly Made Sketches. 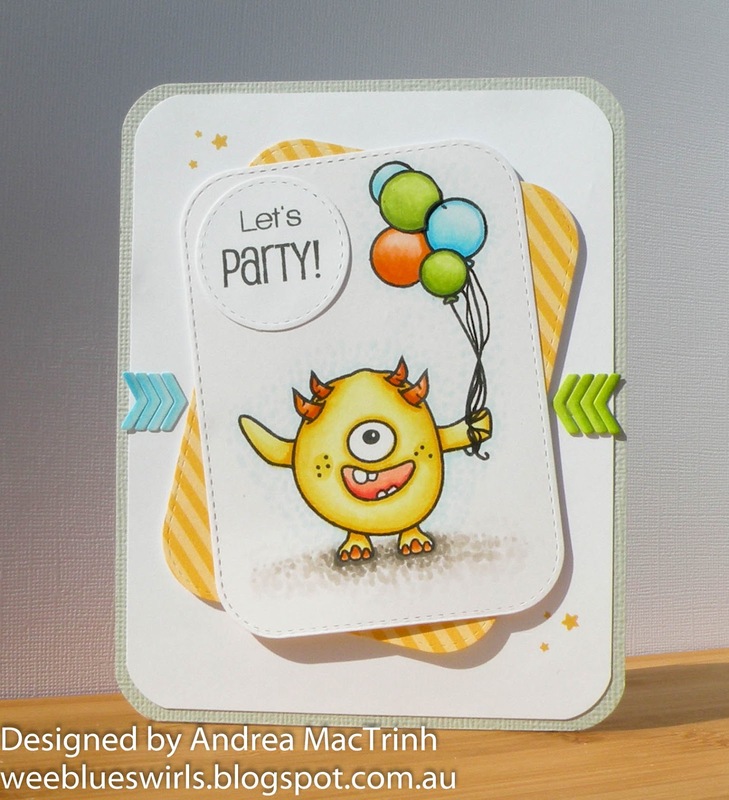 It's been a beautiful, sunny winter weekend here in Sydney which inspired me to use some bright colours and I just had to pair that up with a fun image, so out came my Create a Smile Monster Party Stamp set. I stamped the image onto copic friendly paper with memento ink and masked the balloons to create a larger bunch. I made a bit of a boo-boo with it which resulted me having to cut out a balloon and glue it over my mistake :( There is a tiny bit of black ink on one of my blue balloons but I had already coloured in the entire image before this happened and didn't want to redo it...so it just had to stay...sigh! I also used my copics to colour the die-cut chevrons to match the balloons. The cute tiny stars are from Wplus9 and were stamped with SSS sunshine ink. Thanks for popping by, enjoy your day. This is one cute card!! So fun!! Love the image,coloring,colors...everything!!! Thank you so much for joining us at FMS!! This is such a sweet card and I'm always amazed at how cute a monster can look! Beautiful colouring and the way you did the shadow/dirt under his feet is incredible. 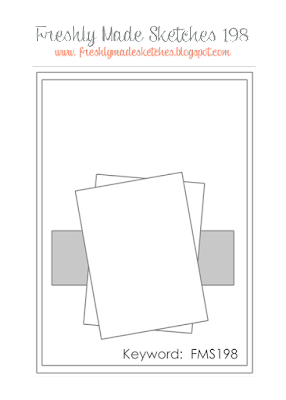 A fantastic card and I'm so glad you shared it with us at ATSM this week! Monsters are all the rage now and this is just the cutest one ever! Thank you for sharing at Seize the Birthday! Your beautifully colored card almost makes that monster look cute, Andrea. Okay, he is cute. ;) Thanks for sending him to the challenge at ATSM this week. Oh my! This little monster is just so cute! You're coloring is amazing and the details make this a fantastically fun card. Thanks for sharing with us at Freshly Made Sketches! ACK, so adorable! I love the colors you chose and your coloring...the arrows are so cute! Love how bright and colourful this is! Super cute. Great layout too. Thanks for playing along with Seize the Birthday.